Petit mal seizure is a seizure which is not characterized by the muscles contractions and whole body jerking. Petit mal seizure consists of symptoms such as rapid blinking, movements of face and smacking of lips and also blankly staring in to the space. It lasts only for a few seconds and usually remains unnoticed. While these symptoms remain unnoticed how would you recognize that you or someone in your family having petit mal seizure? What signs really indicate that a person maybe epileptic? Seizure usually come without any warning, still a person may experience some smell or something different than usual before a seizure. Some people blink a lot just before a seizure. People use to take it as an allergy, until it is diagnosed and linked with epilepsy. If you could identify these symptoms you may have chances to reduce its re-occurrence. If you see that someone is having seizure, let him relax and sleep. Keep them away from any high stressed situations and try to make the environment easy so that they can easily calm down. You can’t really help them stopping the seizure. It’s a normal tendency of a seizure to finish its course and any disruption in between may trigger to more critical conditions. However, they are not really dangerous unless the patient is having them a lot. Make sure that the patient is regular on the medicines as with the medication they will be fine. Sleepwalking and talking is a condition which is commonly found in tiny kids. They speak, walk or cry suddenly during the sleep. Sleep cycle goes through different stages (stage 1, 2, 3, 4 and REM sleep). In more general terms you can say that sleep travels through drowsiness to deep sleep completing a normal sleep cycle. 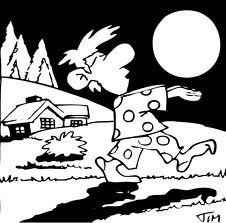 Sleepwalking most often occur during the stage 3 and stage 4 of sleep. These are early hours of the night and the child has a deep sleep at that time. Children with sleep walking disorder sometimes have seizureswhen they grow older. Nocturnal frontal lobe epilepsy that mimics the sleepwalking is a disorder in which the patient suddenly wakes-up from deep sleep and displays some complex behavior such as walking or crying. The patients also have no memories of the event. Disorder arousal mechanisms combined with the inability of the brain to be fully awaken, has been connected with these motor automatisms. These REM sleep behavior disorders occur during the REM sleep accompanied with the features of REM sleep. These violent motor behaviors are similar to the symptoms of sleepwalking. The nocturnal frontal lobe epilepsy does mimic the sleepwalking and thus it cause seizure in the later age.